Industry analysts anticipate that the global home appliances market will reach $203.37 billion by 2023. Driving this surge are voice-activated devices and smart, remotely-monitored home appliances. Smart homes are no longer science fiction. Close to half of Internet-wired households include smart home devices – and 19% of those devices are smart appliances. Today’s household appliances are more complex and connected than ever before. Smart technology, integrated connectivity, and specialized, customizable functions are the new normal – and key drivers of consumer demand. This evolution of the market for smart household appliances presents new testing and certification challenges, as global and industry demands on safety, performance, cybersecurity, and efficiency are also evolving. How do you keep up when you need a broad array of tests and certifications to bring your smart household appliance products to your target markets? Smart, connected household appliances offer greater functionality but also increased security and privacy risk. Trust the experts at CSA Group to help identify and address cybersecurity and other risks so you can safely and confidently go to market. With the CSA mark on your refrigerators and freezers, consumers around the world know your products are reliable and safe. 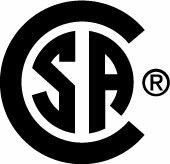 CSA Group has the deep expertise and experience to test and certify that your laundry equipment is energy-efficient and meets safety standards. The skilled experts at CSA Group can inspect, test, and certify your dishwashers for domestic and global markets. Trust CSA Group to test and certify your room air conditioners to meet environmental and energy standards. The CSA Blue Star mark for gas-fired appliances and accessories means that your cooking appliances have been inspected, tested, and certified for safe and reliable operation. From vacuums to carpet steamers, these in-demand appliances reduce the time required for routine cleaning tasks. Our testing includes electrical safety, energy efficiency, and electromagnetic compatibility (EMC) as well as cybersecurity for floor cleaning devices that utilize wireless technology. Smart home appliances are changing the way we live. Home appliance manufacturers must take full advantage of the Internet of things (IoT) to remain competitive, while also addressing serious cybersecurity risks and challenges. CSA group has a wide range of global experience in developing standards for household appliances. We test against key standards for EEV, ENERGY STAR, CB Scheme, and gas and electric. 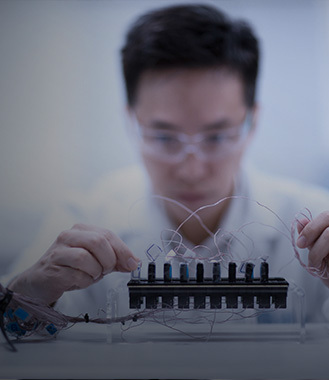 We offer expert services and custom solutions that help bring your product to market while ensuring compliance and safety.